Scout Membership System (SMS) has the ability to now roll out reports to all levels of authorised users. This feature is available right now and we are looking for willing volunteers that have experience in Crystal Reports and interested in volunteering time to help produce the reports required. Due to current security restrictions this work needs to be done on site from the Branch Support Office but has the possibility of being able to be done remotely in the near future. Non Members welcome to assistant but suitability screening will be involved. 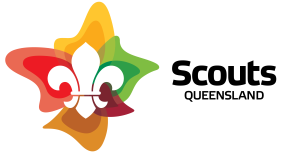 If you are interested please contact Project and Operations Manager on om@scoutsqld.com.au.